"Star Wars". What part of love? 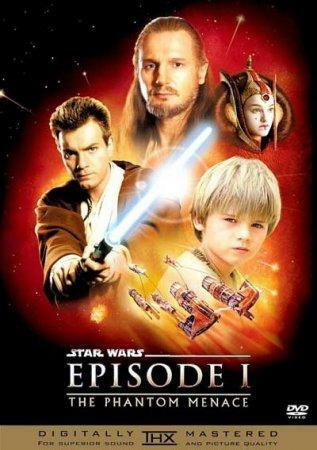 The Jedi Qui-Gon Jinn and his apprentice Obi-Wan Kenobi are sent as ambassadors to resolve the conflict between the Trade Federation and the planet Naboo. Negotiations break down, the occupation of the planet begins. 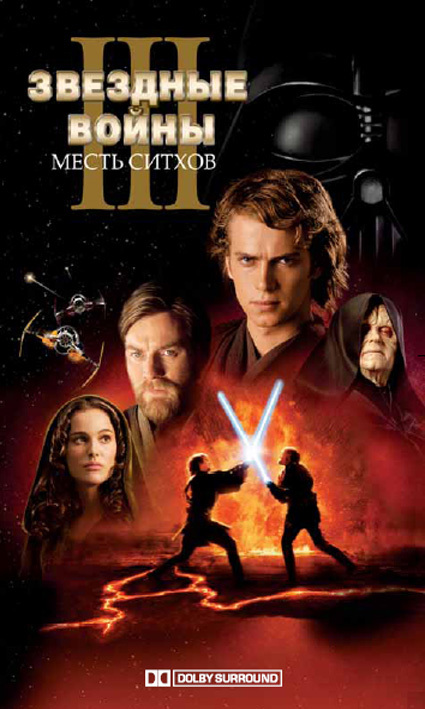 Jedi together with the Queen of Naboo, Padmé Amidala is sent to the capital of the Republic, on the way stop on the desert planet Tatooine, where they meet a boy endowed with unusual, powerful force whose name is Anakin Skywalker. Dzhezhay Qui-Gon takes Anakin with him to teach the art of the Jedi. 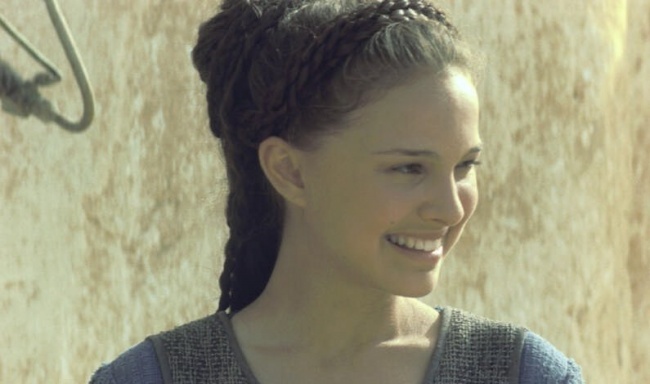 In the capital of Queen Amidala does not receive the support of the Senate, returning to the planet Naboo her with the help of the Jedi, and Anakin manages to win over the Trade Federation. 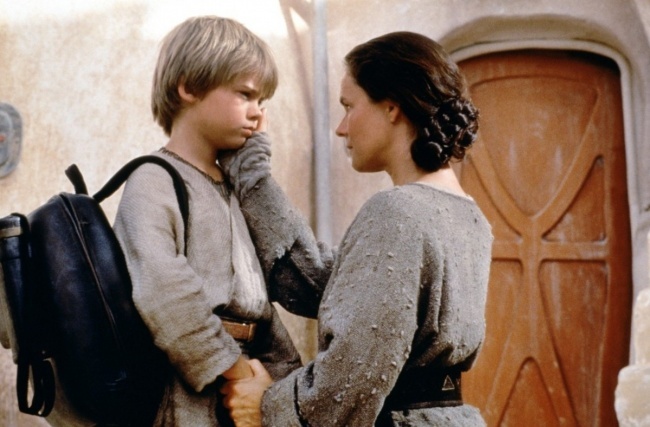 Anakin Skywalker became a pupil of Obi-Wan Kenobi. It becomes clear that the Sith are back, but the Dark Lord is unknown. Movie with an interesting plot and the game is full of adventures, battles scenes. Came to rental May 16, 2002. 10 years have passed since the events in the first episode. Republic is drawn into the Civil War. Solar systems threaten to get out of the Galactic Republic, under the leadership of Count Dooku, a disciple of the Dark Lord, who remains unknown. 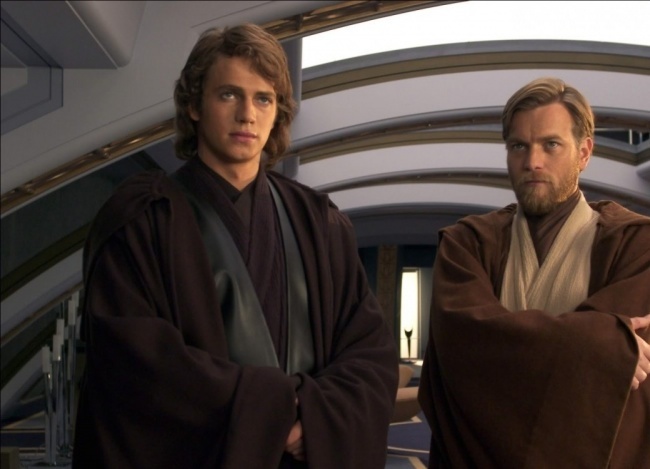 On the background of those events the Jedi Obi-Wan Kenobi and his apprentice who grew up Enakonom Skywalker guards appointed Senator Padme Amidala. Obi-Wan Kenobi during the investigation of the attempt on Senator is in the heart of the separatist forces, Anakin, Padmé and the Jedi hurry to to help him and engage the separatists. Chancellor of the Senate, the Senate shall have Palpatine unlimited powers. The war begins. 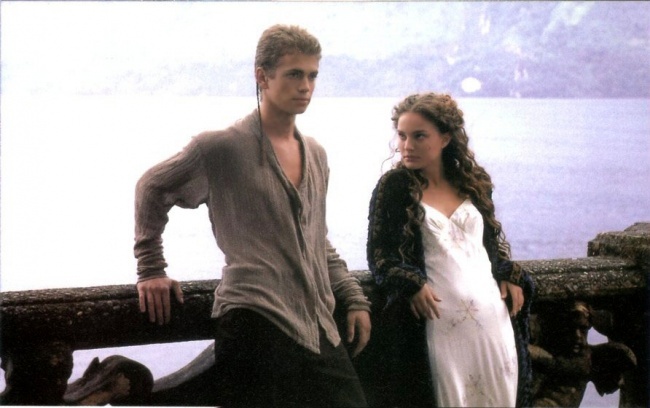 Anakin Skywalker and Padmé fall in love despite the fact that both it is forbidden, as it respected senator, and he was a Jedi, but in spite of that they were secretly married. The premiere took place 15 May 2005. The war continues, the Republic more and more plunged into darkness. 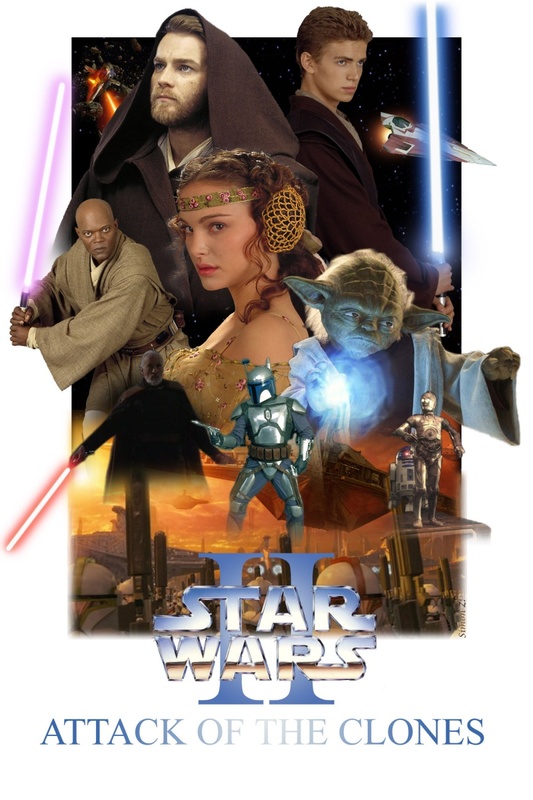 The strength and mastery of Anakin Skywalker is growing, but he is torn between the love of Padmé Amidala and duties as a Jedi. 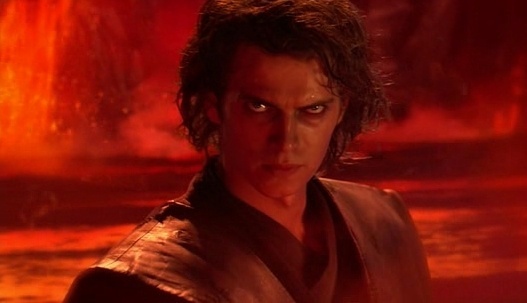 Anakin reveals who really is the Dark Lord of the Sith, rents it to the Jedi Council, but eventually became a student of Palpatine, Anakin Skywalker absorbs the Dark side of the Force and becomes Darth Vader. Jedi defeated and destroyed, the Republic declared the Empire. 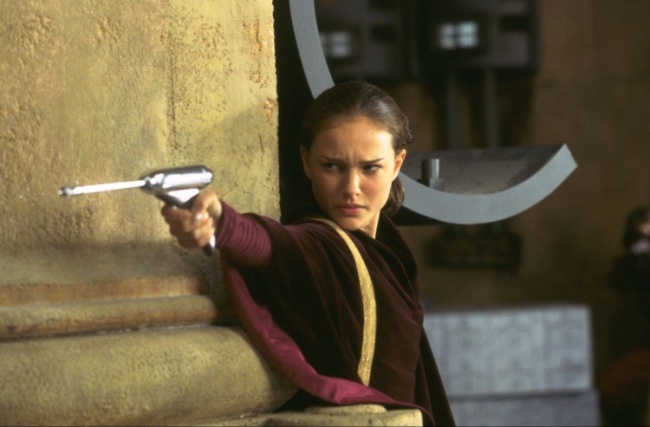 Padmé refuses to believe what was happening, she had no desire to stay alive, and she dies, her children Luke and Leia hidden from the Darth Vader and the Emperor. Sith won, starts building of the Death Star, Darth Vader, disfigured and crippled clothed in armor and a helmet that allow him to survive. Perhaps one of the most tragic episodes in the saga. Three years have passed since the events in the fourth episode. Civil war between the Empire and Resistance. Despite the destruction of the Death Star Empire is much stronger than the insurgents and oppresses them. 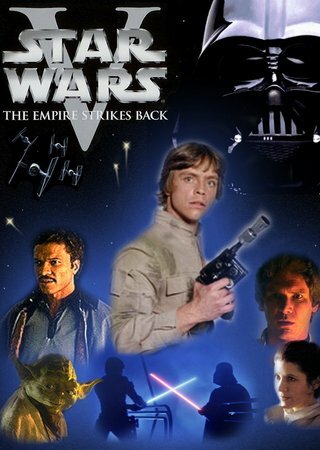 Luke Skywalker is sent to the planet Dagobah to become an apprentice Jedi Yoda, but throws training to save his friends. 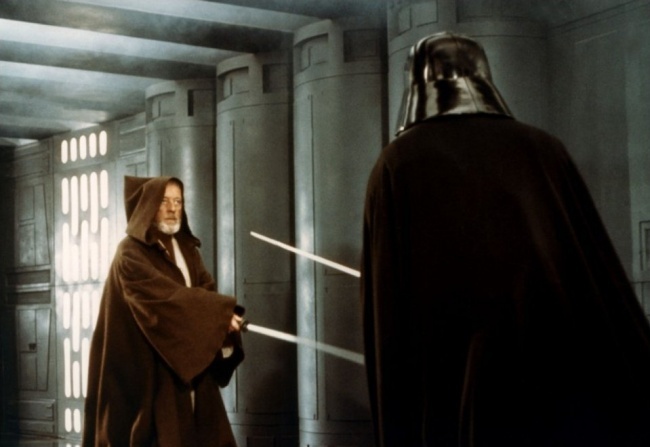 In a battle with Darth Vader cut off Luke's right hand, and Luke finds out what was concealed from him, Obi-Wan Kenobi and Yoda, Luke — the son of Darth Vader, and he calls it the dark side of the Force. 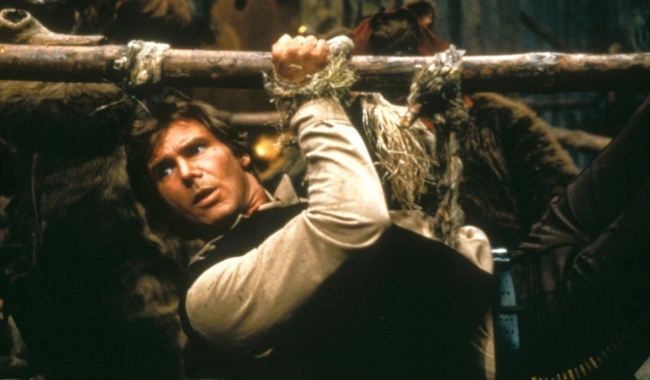 Luke manages to escape, but Han Solo remains frozen. Resistance was forced to retreat. Took place one year after the events in the fifth episode. In the Galaxy comes the Civil War. Empire building a new Death Star. Luke Skayokeru, along with Princess Leia, Lando Calrissian, Chewbacca, C-3PO robots R2-D2 and manages to rescue from captivity Han Solo. 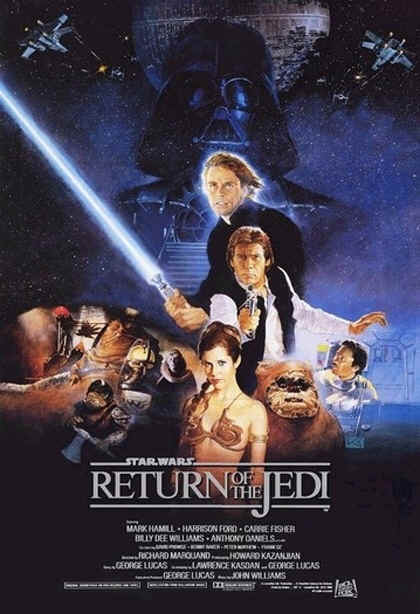 Luke returns to Master Yoda, to complete their training and become a Jedi, but Yoda is too old and dies, it confirms that Darth Vader — Luke's father, also Yoda tells Luke that his sister, Princess Leia. 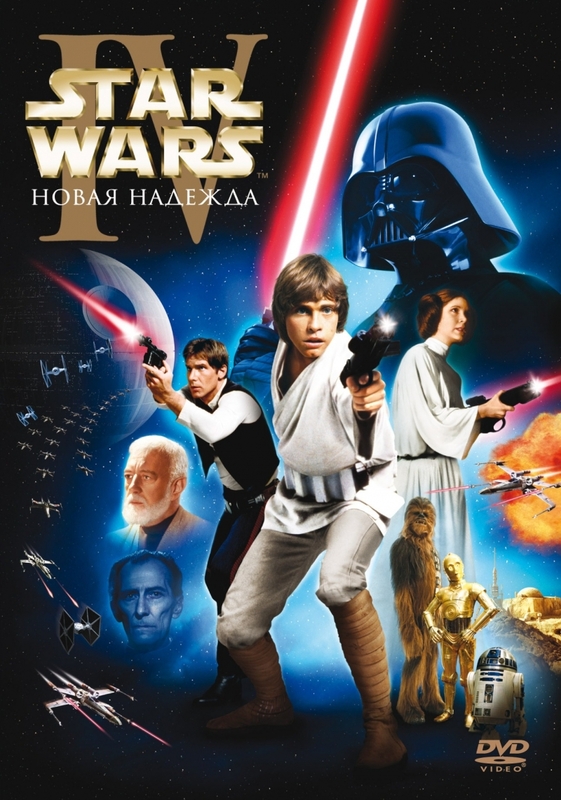 Emperor Palpatine arranges a trap on the Death Star, near the moon of Endor, Luke fights with his father and defeats him, but refuses to kill him. 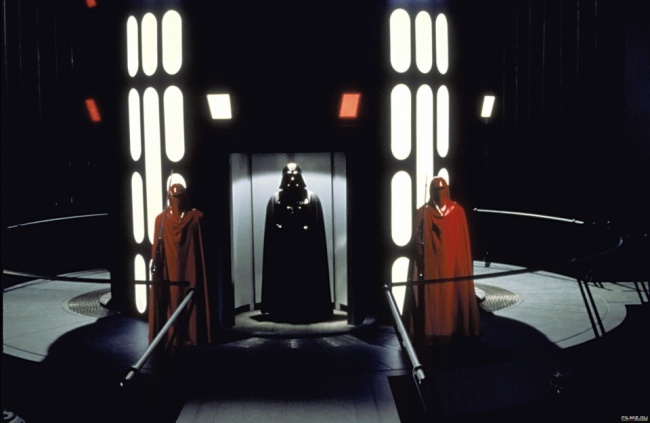 Emperor begins to torment Lucas in front of Darth Vader, who looked to be afflicted son lacks the Dark Lord and kills him. So it happened prophecy associated with Anakin Skywalker. Anakin Skywalker returned to the light side of the Force, but died of his wounds at the hands of his son. 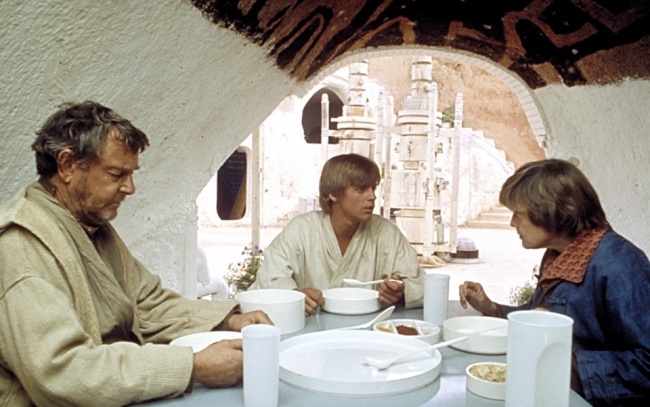 Before his death, asks Luke to remove his mask, that look on his son with his own eyes. Leia Solo and declare their love. Empire lost the Civil War.